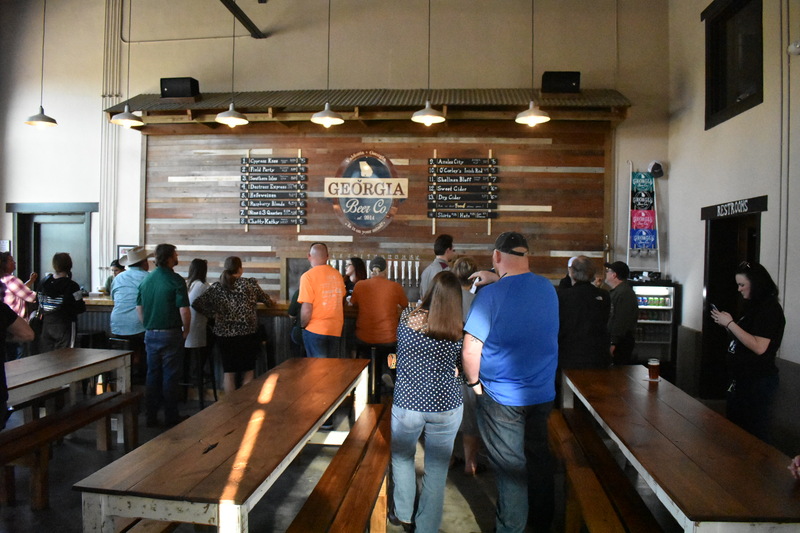 The Georgia Beer Company officially opened on Feb. 4, but held “soft” openings prior to. Head Brewer Mike Delf said there’s a drink for everyone. 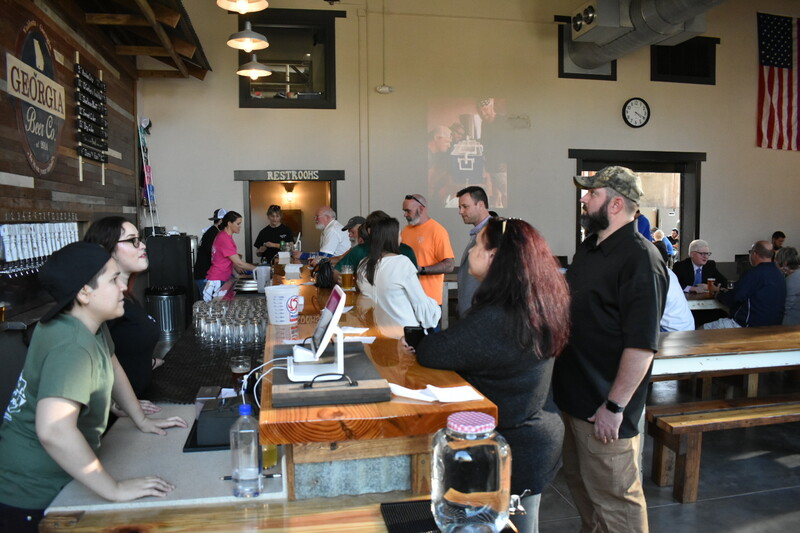 A $1.2 million investment in the making, the Georgia Beer Company held its grand opening on Feb. 4. 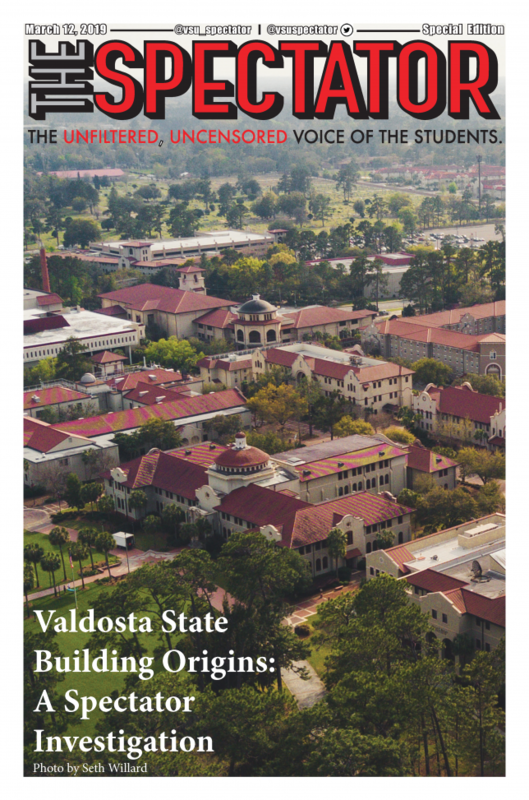 Citizens, students and faculty are already calling it a Valdosta staple. During the two weeks prior, it held “soft” openings to introduce itself to the townsfolk. VSU President Richard Carvajal even made an appearance and revealed that he couldn’t help but notice the company. VSU President Dr. Richard Carvajal converses with Athletics Director Herb Rinehart and Vice President of Academic Affairs Dr. Rodney Carr about the new brewery. But Carvajal’s pride isn’t just in the startup of the brewery. It’s the fact that its two co-owners, Jack “J. 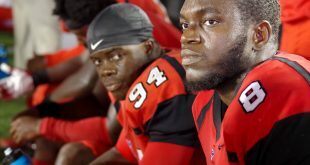 Ryce” Martin and Chris Jones, are former VSU students. 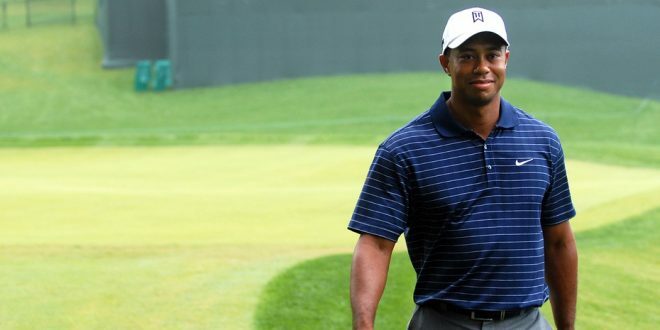 Jones graduated in 2009 with a B.A. in criminal justice, and Martin graduated in 2011 with a M.S. in biology. Their efforts to start the brewery, however, didn’t start until 2014, with five friends behind the project. The five became two before the brewery came into fruition. Michelle Jones, Jones’ wife, said she saw the dream simmer as the years went by. 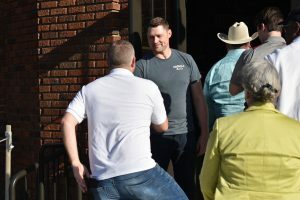 “It kind of dwindled out, but these two guys stuck together, and they’ve been from point A to now,” she said. 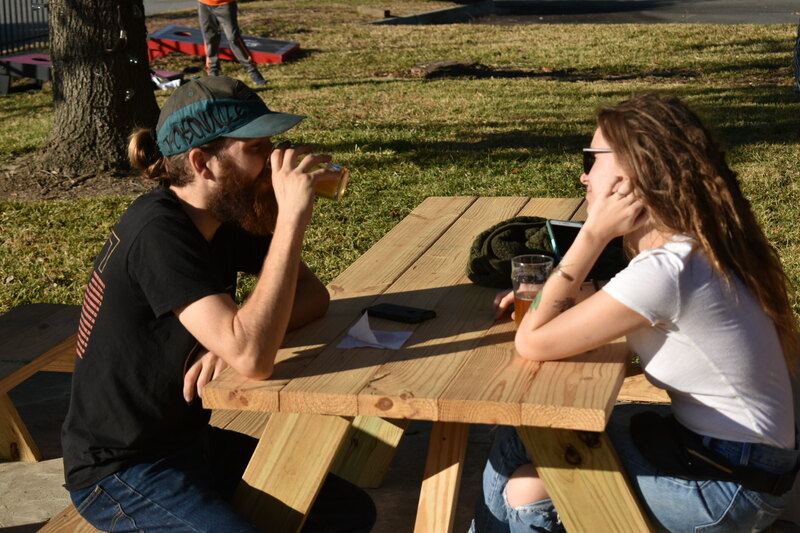 Soon after the efforts began, the group established themselves as a public-private partnership with an LLC and locked in the name Georgia Beer Company. 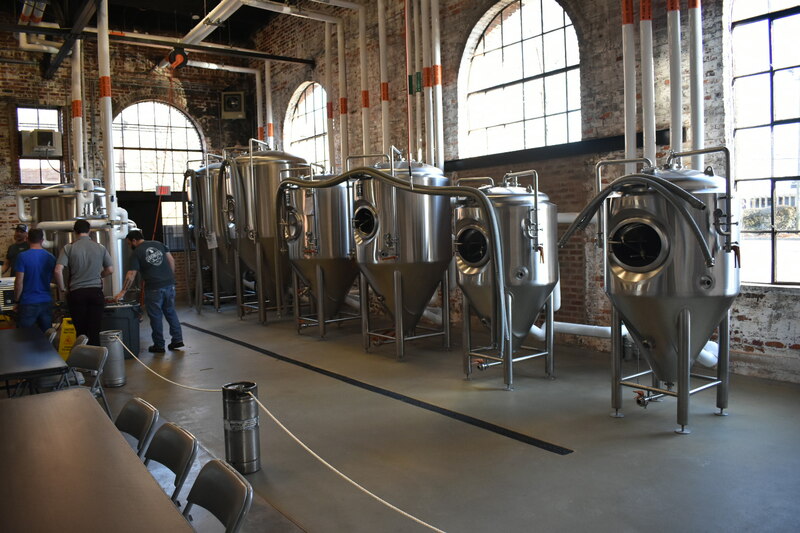 In the time between 2014 and its opening, the brewery worked with the Valdosta-Lowndes Development Authority. 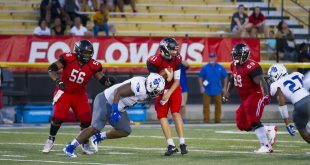 Chris Jones said things were a bit slow at first. 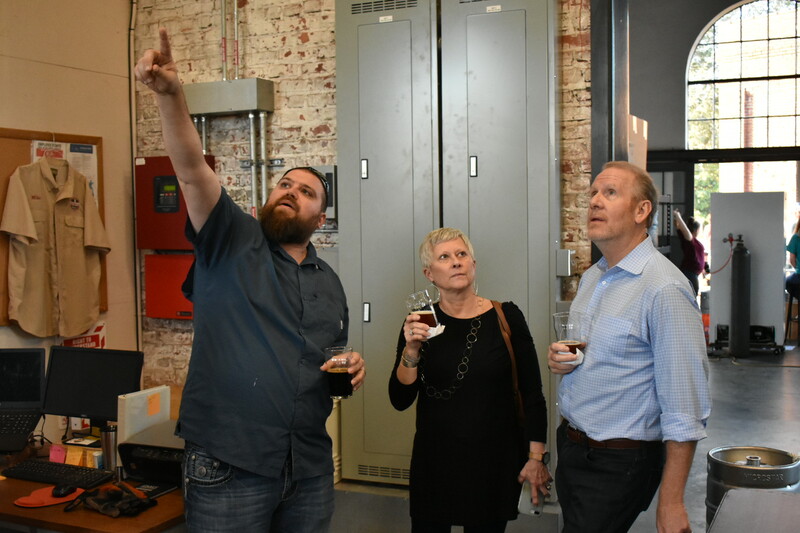 After finding the brewery to be a good investment, the VLDA bid out for a contractor to start construction. Once the bid was found, Jones and Martin went through the long process of waiting, working with an architect and even removing sand, old cement and greenery that infested the former city waterworks building. The construction took little over a year to finish, and though it was worth the wait, not all was done. 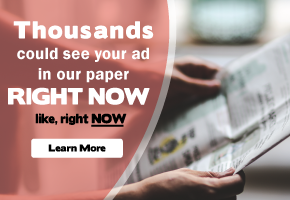 “I feel excited and anxious for things to come, and I’m hoping Valdosta Lowndes County and South Georgia will like the product that we’re putting out,” Jones said. Co-owner Chris Jones welcomes customers as they enter the newly opened brewery. 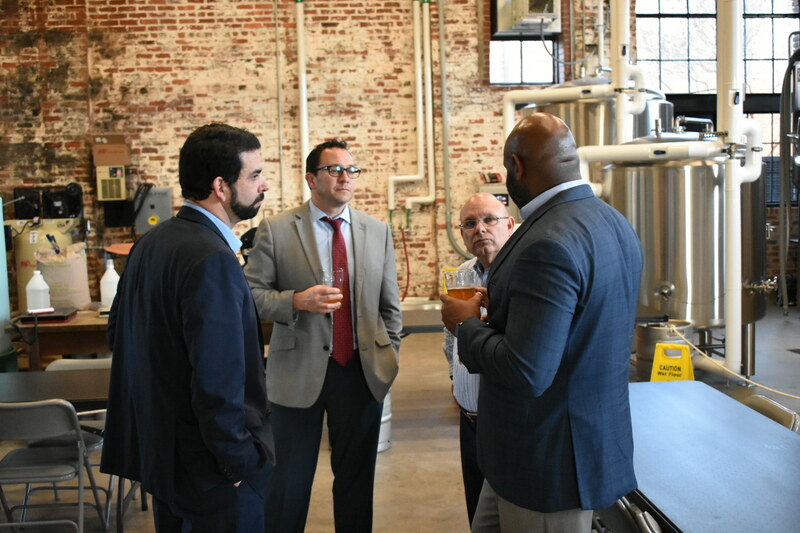 Jones and Martin plan to ready kegs for delivery to local restaurants, grocery stores, liquor stores and package stores, eventually moving from region to region until they reach the company’s end goal: all of Georgia. Before that, the two plan to “saturate” Valdosta with beer, specifically from the taproom, their testing zone. 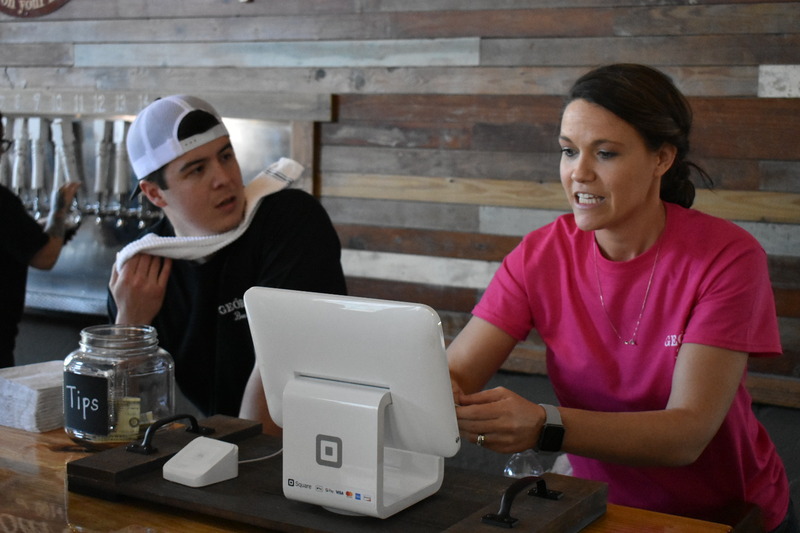 “You can come in and taste the experimental stuff to see if it’ll go out into production,” Michelle Jones said. 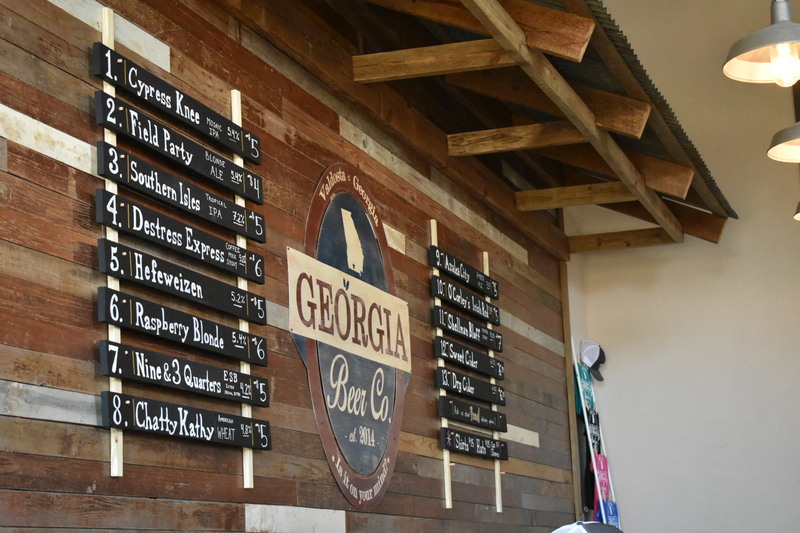 Georgia Beer Company serves a range of drinks from fruity beers, like its raspberry field party blonde, to coffee-styled beers, like its Destress Express. According to head brewer Mike Delf, there’s something for everyone. 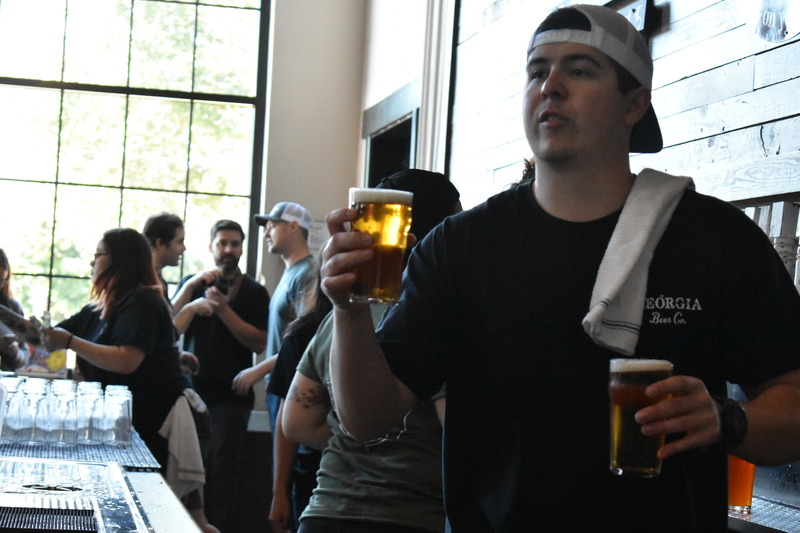 Though the beers were made in mind for all drinkers, Chris Jones knows that the company’s specialty, craft beer, isn’t the most inexpensive drink. 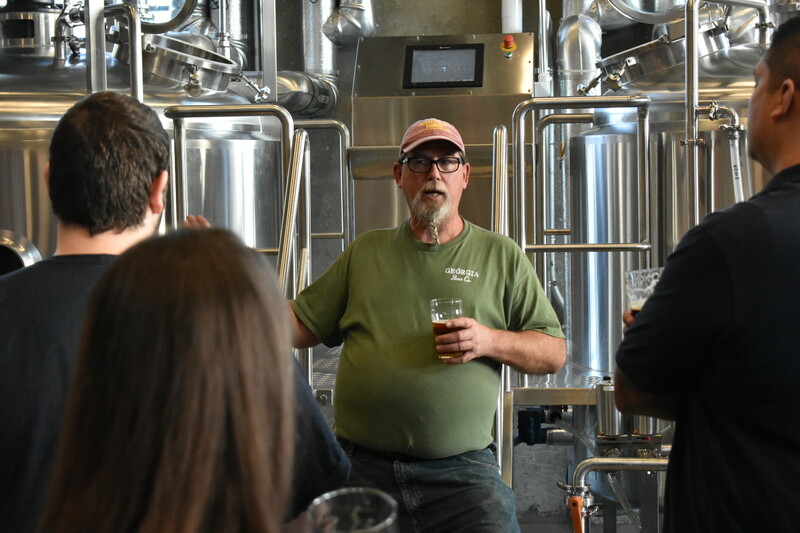 “College students typically don’t drink craft beer because it’s more expensive, and like I was when I was in college, most college kids are living on a budget—a shoestring budget—and they’re drinking more affordable beers,” he said. With that in mind, the brewery sells cheaper beers, like its blonde ale, and has happy hour from 4 p.m. to 5 p.m. Monday through Friday, where beers are a dollar off. 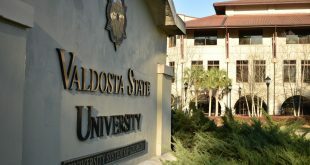 Jones said eventually the brewery will start a VSU discount for customers with a VSU ID. But this isn’t the only thing the former VSU students are doing to cater to VSU. 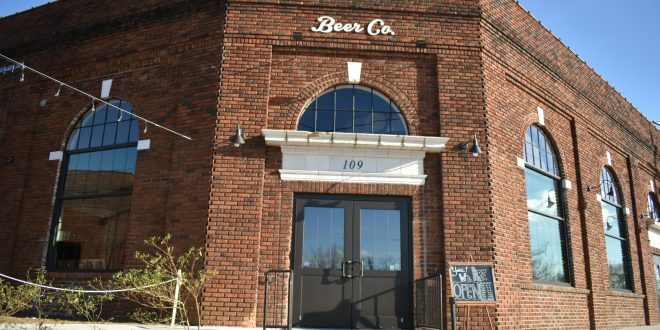 Come March 3, the Georgia Beer Company will host the South Georgia Film Festival, which will feature a video on the making of the brewery. 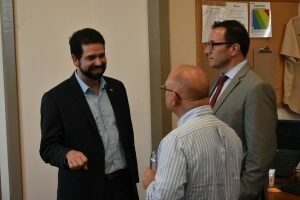 “I’m so proud of our success stories—the alumni who are making this happen and making their dream happen right here close to home,” Carvajal said. The brewery is located at 109 S. Briggs St. in Valdosta. 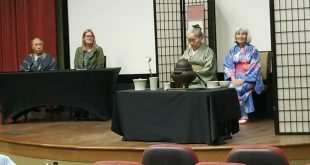 Story and photos by Bryce Ethridge, Content Editor.